The FCA, which stands for Financial Conduct Authroity, was previously a part of the FSA. The FSA (Financial Services Authority) was a UK self-funded authority, founded under the Financial Services and Markets Act 2000 (FSMA). It ceased to exist in 2012, and split into two authorities, one is the PRA and the second is is the FCA (all detailed in our money transfer history timeline). The FCA is the regulatory body that authorises money transfer firms to transfer money internationally and repatriate it. Every company that wishes to engage in the transfer of funds across borders, needs to be registered under Payment Services Regulations 2009, supervised by the FCA. he authority is governed by a board appointed by the treasury, and supervises the activity of over 50,000 UK-facing financial business firms. Official website: https://www.the-fca.org.uk/ (moved from fca.org.uk after a recent redesign in mid-June 2016). Offices: The Financial Conduct Authority office headquarters is at: 25 The North Colonnade, London E14 5HS. Here’s a unique photograph we took of the impressive building. How does a well-regulated money transfer provider looks like? Global Reach Group is demonstrating an incredible level of transparency and clearness to its customers in regards to what it is regulated to do and not regulated to do. Every single bit of it’s Policies page is coherent, clear to understand, and provides sufficient and up to date information. Can’t Decide? View our Best Money Transfer Comparison on our Homepage. Why Stick To FCA-Approved Firms? In simple words, if you want to have the same level of confidence and security when issuing overseas payment via an commercial provider, as you do with banks, that commercial company should undergo scrutinization of a regulatory body. Someone has to make sure things are happening as they should be. Think of a money transfer company as a mediator. The way it works is that you send them money domestically in your own currency, and they make the exchange and move it forward. What would happen if that money you sent them will be transferred directly into their bank account, with no designated bank account for client transactions (“ring-fenced”)? You absolutely don’t want that to happen. You want any financial institution to have separated client accounts, as well as securities in place. You also don’t want to be a victim of fraud. Rip-off companies are common. 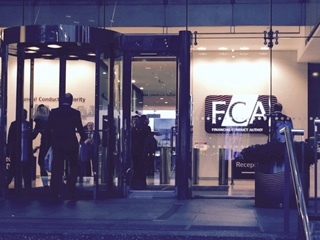 The FCA processes complaints, issues fines, and revokes licenses, if necessary, i.e. too many complaints, business misconduct, failing to pass their tests etc. They make sure it is clear to for every UK customer which company is approved by them. For more information view the FCA Official Website. As detailed on our bank scandals page, the FCA had a prominent role in cleaning up the UK financial system in 2014 when they issued a great deal of fines to banks for their business fx practices and rigging the LIBOR rate. The FCA announced fines totalling £1.1 billion ($1.7 billion) for five prominent banks for ineffective controls among foreign exchange traders between January 1, 2008 and October 15, 2013. The five banks facing fines for “failing to control business practises” in their spot FX trading operations were: Citibank (£226 million), HSBC (£216 million), JP Morgan (£222 million), Royal Bank of Scotland (RBS) £217 million) and UBS (£233 million). One of the primary benchmarks that the FX traders attempted to manipulate was the World Markets/Reuters Closing Spot Rates (WM/R Rates). Regulators discovered that banks went to great lengths to collude in this core benchmark used to price cross-currency swaps, foreign exchange swaps, spot transactions, forwards, options, futures and other financial derivative instruments. 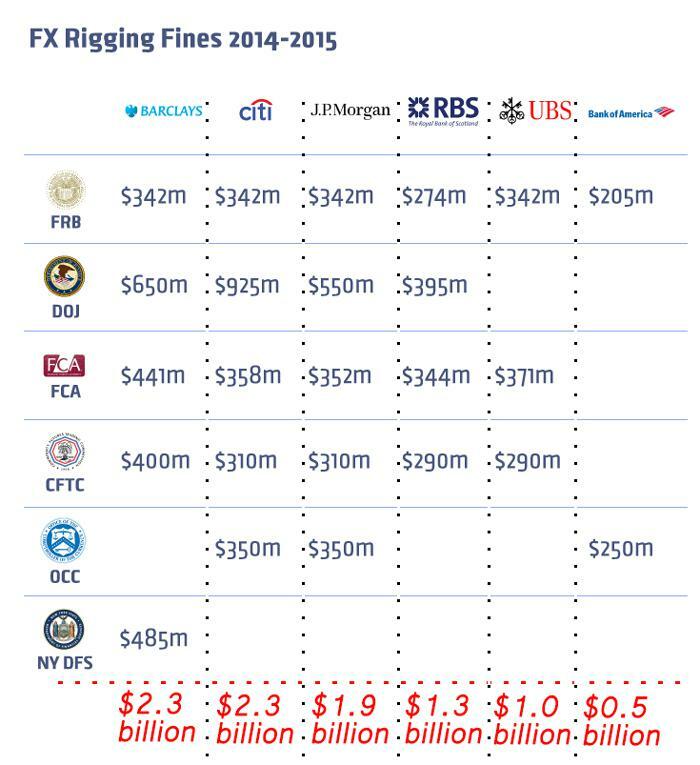 The FCA also collaborated with the US-based NFA and SEC to levy over $10 billion in fines back in 2014. Within days, other regulatory agencies weighed in with additional levies based on similar findings and discoveries of market abuse and collusion. If you want to see more interesting statistics about the development of the commercial foreign exchange industry view our 50 milestones in the development of international money transfers infographic. MoneyTransferComparison.com is by no means regulated, authorised by, or registered with the FCA. As we do not provide personal financial advice, nor process any payments what-so-ever from our visitors, we don’t fit the criteria of the companies that should undergo their scrutinization. Nevertheless we try to follow guidelines set out by the FCA for different financial sectors. We offer a free service of investigating FX cases. Does the Financial Ombudsman protect corporate clients? The answer to that is unfortunately no when the turnover is above GBP 2m annually. Although many of the fx brokerages mainly deal with corporate clients through their corporate fx department, these clients cannot file a complaint as private clients do via the Financial Ombudsman. These corporate clients have to resort to a civil court to handle their complaints. Related: read our comprehensive analysis asking when does regulation turns into over-regulation and does it protect consumers? The FCA also plays a role in the regulation of banks, alongside commercial companies handling people’s money. Banks, which were traditionally overseen by the FSA until it was split in 2012, are now inspected by 3 regulatory bodies: HMRC, PRA and the FCA. Each one of the regulators is responsible for different things. The FCA’s specific roles with banks is to make sure competitiveness is maintained, and making sure the banks day-to-day activity is compliant with the legal requirements, such as capital requirements, credit requirements, exposure requirements and transparency requirements. There are plenty of banks that have received hefty fines from the FCA, and you can read about it more in depth on our UK bank regulation and famous scandals page. Page updated and upgraded. Looking forward for your feedback on how to improve it further. Hi I need to make periodic transfers of dollars from my American account in the US to my account in Israel. I urgently need to make a complaint as the fx transfer firm I have been dealing with have delayed transferring my money and I am having a problem with this.